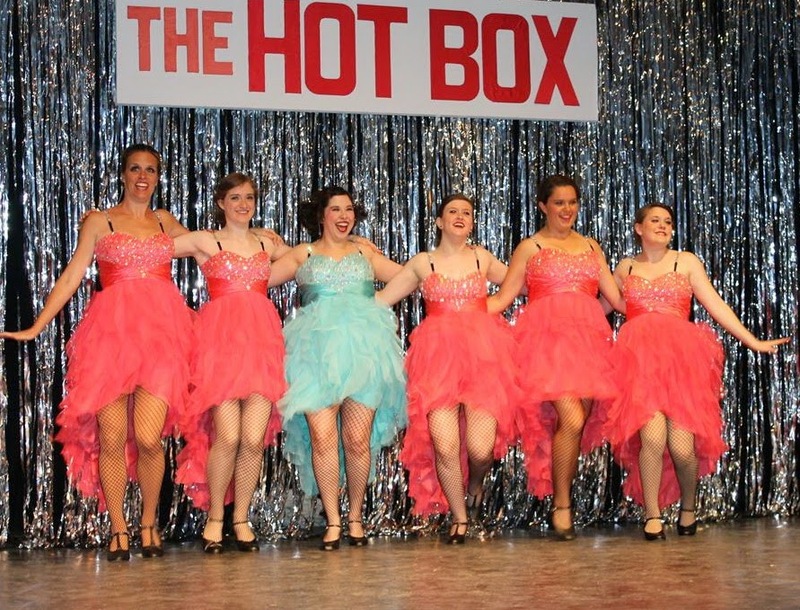 Putnam County Playhouse: 'GUYS & DOLLS' OPENS ON JUNE 5! 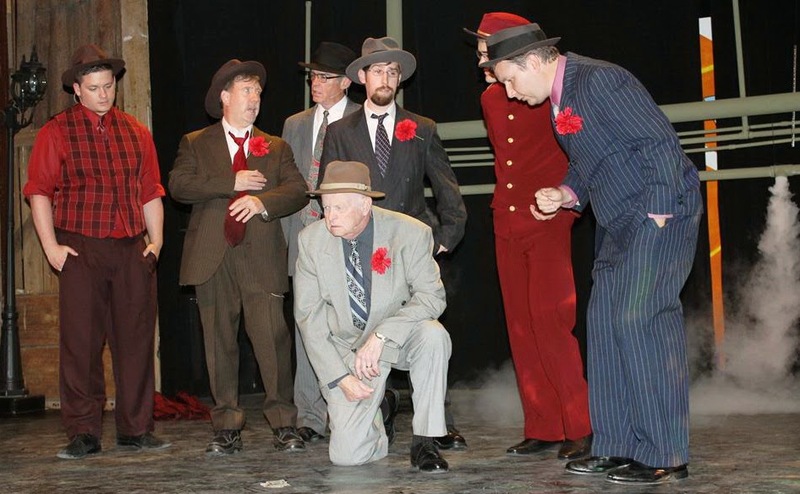 The 53rd season of Putnam County Playhouse opened with a production of the Tony-Award-winning musical Guys & Dolls. It was presented June 5-7 and June 11-14. The musical is sponsored by First National Bank. Director-choreographer is Jack Randall Earles. Assistant director is Sandi Rossok, and Alison Howard is the production stage manager. Vocal direction is by Geoff Price, and the pit conductor-pianist is Marilyn Burdsall. Earles directed Angel Street last year with Rossok assisting. Price and Burdsall have both been involved in many musical productions at PCPH. The musical’s lyrics and music were written by Frank Loesser. The book is by Jo Swerling and Abe Burrows and is based on the writings of Damon Runyon. Guys & Dolls won five Tony Awards when it opened on Broadway in 1951. The 1992 revival went on to win four Tony Awards. The leading roles of Sky Masterson and Sarah Brown are being played by real-life married couple Dustin and Sarah Bond. They were both seen last year in The Drowsy Chaperone and Harvey. Their comic counterparts, Nathan Detroit and Miss Adelaide, are played by Scott Armitage and Ashlee Anne Vitz. Both performers have been onstage at PCPH many times. Ashlee debuted in 2011 as Guenevere in Camelot, and Scott has most recently been seen in Don't Drink the Water and Kiss Me Kate. 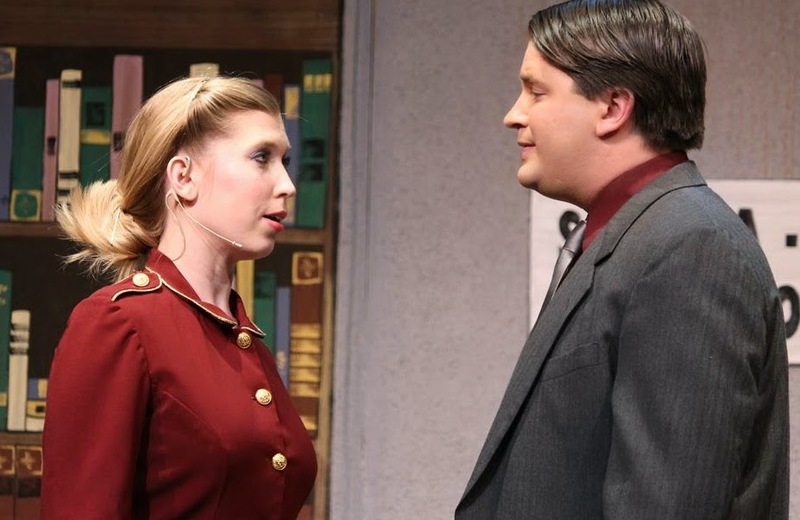 Other roles are taken by Jim Poor (Arvide Abernathy), Eleanor Howard (General Matilda B. Cartwright), David Roberts (Nicely Nicely Johnson), Chris Wurster (Rusty Charlie), and Craig Armitage (Benny Southstreet). L-R: Jacob Peterman, Scott Armitage, Chris Wurster, Craig Armitage, Elijah Brattain, TJ Tincher. 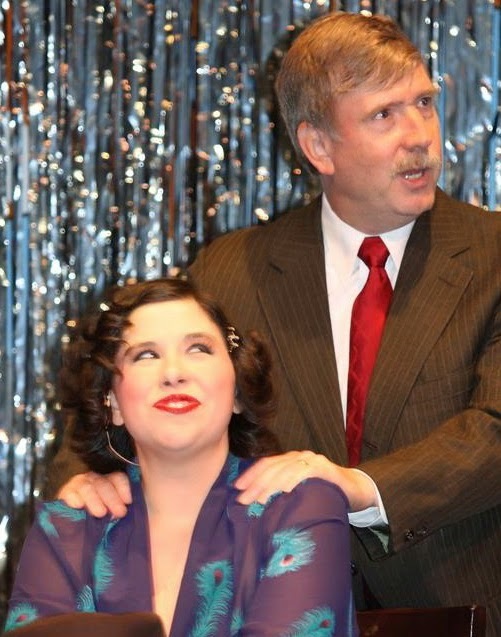 Craig is playing the part that his father Scott played in the last PCPH production of Guys & Dolls in 1995. 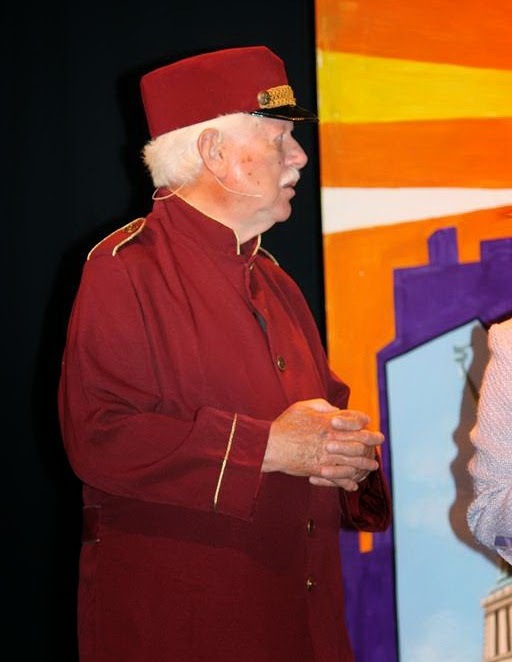 Jim Poor has been associated with Putnam County Playhouse since 1963 and served on the Board of Directors for many years. He most recently directed The Sunshine Boys and played Sancho Panza in The Man of La Mancha. The cast also includes Elijah Brattain, Clarence Long, Dylan Bodnarick, TJ Tincher, and Jacob Peterman. The distaff side is represented by Annie Weltz, Elise Merrell, Michaela Semak, Jerica Bean, and Hannah Brattain. Hannah is playing roles that her mother, Kim, played in our 1995 production. Bryan Schroeder is technical director and lighting designer. Set design and special painting is by Linda Gjesvold. Other musicians joining Burdsall in the pit are Michael McClaine, percussion; Drew Brattain, bass; and Marcia Boswell, flute. 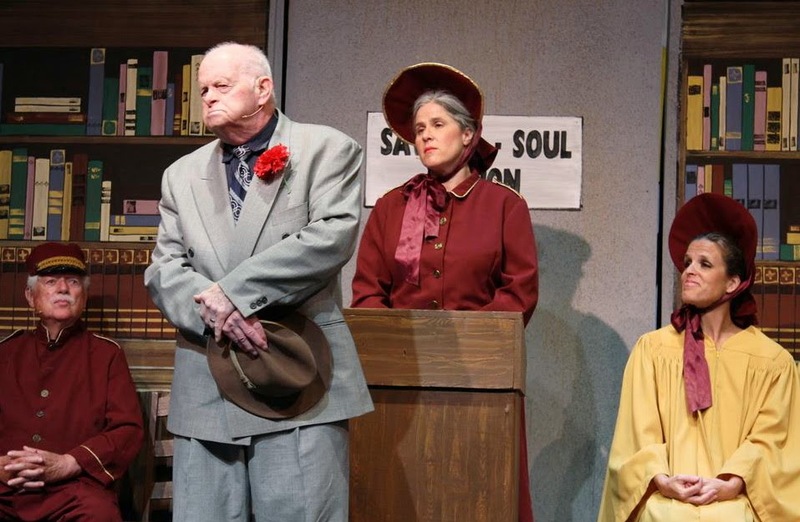 L-R: Marcia Boswell, Michael McClaine, Marilyn Burdsall. Not pictured: Drew Brattain. Stage crew for the production are Sydney Cassida and Alex Asbell. Brenda McClaine will run the sound/light board with assistance from Meghan Armitage. 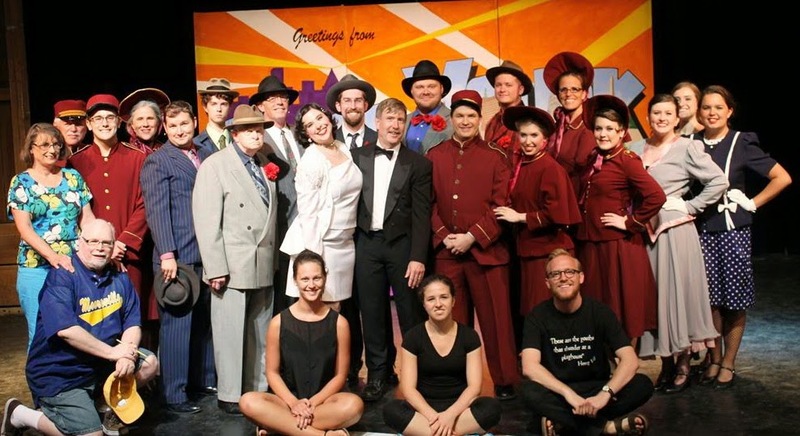 The Cast & Staff of "Guys & Dolls."